OTTAWA – Dr. Andrew Bennett, Cardus Senior Fellow, is defending religious freedom as a fundamental human right that cannot simply be lumped in with other concepts, such as inclusion and tolerance. “Without religious freedom, we cannot then move on to give utterance to our beliefs (freedom of speech), gather with others to share those beliefs (freedom of assembly), or form groups of our fellow human beings who share similar beliefs so as to advance the common good,” said Dr. Bennett on Wednesday. His comments came during his appearance before the Senate Human Rights Committee as an expert witness as on the issue of religious freedom. Informed by his previous experience as Canada’s Ambassador for Religious Freedom, Dr. Bennett says Canadian foreign policy needs to deal head-on with the issue of religious freedom. 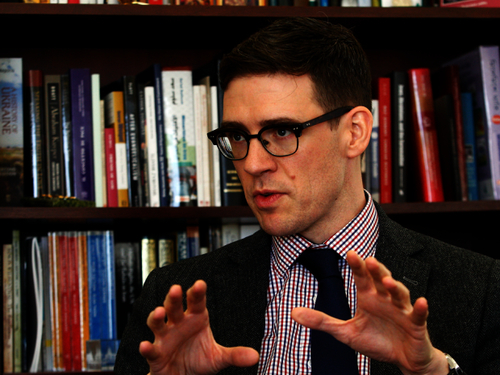 At Cardus, Dr. Bennett helps to promote religious freedom in Canada and abroad. He is also chair of the Cabinet of Canadians, a multi-faith group of almost 40 distinguished individuals, which aims to commemorate the role of faith in our country, our institutions, and our common life.